For the past 30 years, the law firm of Jenne, Scott & Jenne, PLLC, has been providing professional legal counsel and representation to individuals and families in Rhea County, Meigs County, Monroe County, Polk County, Hamilton County, McMinn County and the surrounding areas of Tennessee. We are a general practice firm, handling everything from personal injury, workers’ compensation and divorce to disputed insurance claims, civil litigation and real estate law. 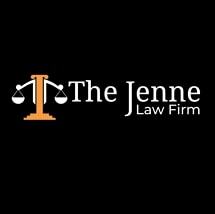 Jenne, Scott & Jenne, PLLC, comprises a family of trial attorneys: father, sons and a daughter-in-law. Because we are a small, close-knit practice, we are able to provide personal attention and tailor our services to meet your unique needs. Whether you have been seriously injured in a car accident, you are trying to navigate the troubled waters of divorce or you are a business owner caught in a contract dispute, we can help. With more than 85 combined years of experience, our law firm has represented numerous people in both state and federal courts, and our law firm takes pride in our degree of client satisfaction. Many individuals consult us repeatedly throughout their lives and refer other people our way. Located in Cleveland, the law firm of Jenne, Scott & Jenne, PLLC, offers free initial consultations for all cases. Our professional yet welcoming office is situated in a historic downtown building and is handicapped accessible. For your added convenience, we accept credit cards and provide after-hours and off-site consultations by request.